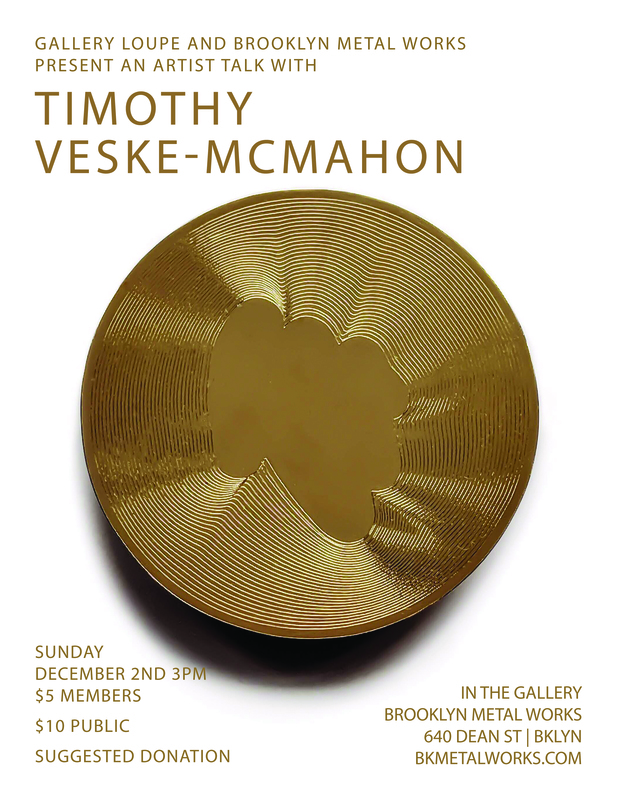 Please join us for a talk with visiting artist Timothy Veske-McMahon on Sunday December 2 at 3pm in the Gallery at Brooklyn Metal Works. We’re pleased to have Timothy Veske-McMahon return to BKMW to speak in support of his recent exhibition, Soft Spot, at Gallery Loupe in Montclair, NJ. Veske-McMahon is a good friend of Brooklyn Metal Works. He has been a popular instructor and last spoke here in 2015 when his exhibition mirror milk was In the Gallery. Noumenon I. Brooch, 2018. 14K gold filled, brass. 90 x 90 x 4 mm.